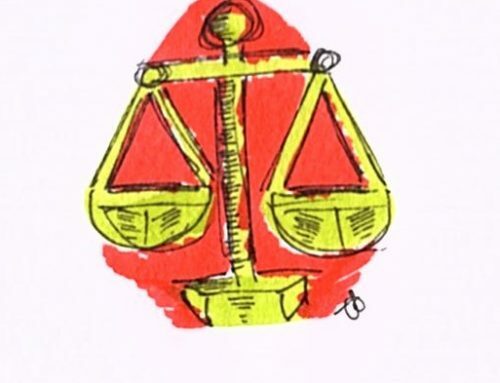 Home/Uncategorized/Will the new Minister listen to us? Will the new Minister listen to us and work with us to change this immigration detention system? While 2017 ended with a welcome news of the closure of the Verne detention centre, 2018 opened with a change in our detention advocacy landscape as a new Immigration Minister entered the scene. It was about two years ago that the then Immigration Minister, James Brokenshire, promised detention reform in response to the first Shaw Review. 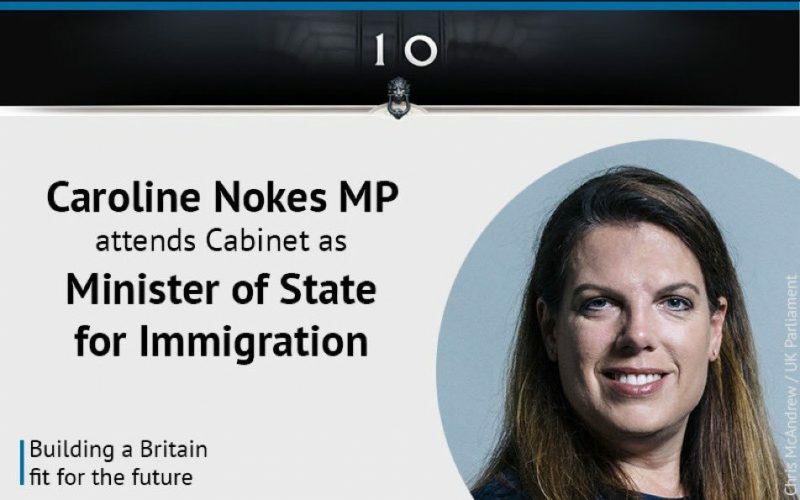 Since then, we have had four different Ministers in a quick succession: James Brokenshire was followed by Robert Goodwill, Brandon Lewis and now Caroline Nokes. Keeping immigration detention reform on the agenda for politicians and the Home Office can be challenging, particularly when faced with the mixture of this extreme fluidity at the leadership level and the government’s migration policy characterised by deliberate hostility against migrants. It was in this context of change at the Home Office, the announcement that the publication of the government white paper on post-Brexit immigration policy will be delayed, the second Shaw Review into immigration detention which is currently ongoing and, of course, upcoming Immigration Bill that the Detention Forum members met last week. Clearly, we must ensure that the new Minister understands fully the urgency of a radical detention reform. She needs to understand the need for a time limit on immigration detention and that the scale and number of immigration detention must go down drastically and swiftly. She needs to understand that these changes have already been recommended by the parliamentary inquiry into the use of immigration detention several years ago, the first review of immigration detention Stephan Shaw conducted, a cross-party alliance of MPs and peers and numerous others. In particular, I think it is imperative that the Minister hears from migrants, their families, friends and supporters how immigration detention damages lives and how they wish to see the whole system changed. We have been told that the Minister has already visited two of the detention cetnres and was planning to visit Yarls Wood. Whether she will be speaking to those people who are directly affected by immigration detention remains unknown: personally I can’t think of a better way for a new Minister to get to grips with the reality of immigration detention. After the Detention Forum quarterly meeting last week, I have no doubt that our collective voice challenging immigration detention will continue to grow. Over the last 9 years, I have had the privilege of meeting with our members every quarter and I have seen them work closely together and others outside the Detention Forum to build much-needed momentum for detention reform, using all the tools they have at their disposal and with such energy. 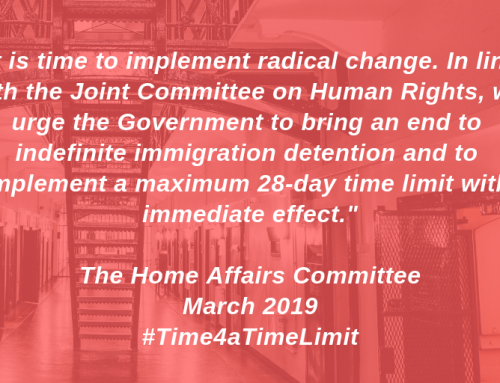 In fact, more and more of us are joining our forces together to demand a time limit on immigration detention: one of our members Liberty started #itsabouttime campaign last week which amplifies our ongoing #Time4aTimeLimit campaign, backed by a group of faith leaders calling for the same change. The UK is the only country in Europe that locks people up without a time limit. No judge authorises their incarceration. More and more of us are now saying it’s #Time4aTimeLimit. Last week was also a reminder that change can’t come sooner. Thousands of migrants remained locked up in remote immigration detention centres, separated from their loved ones, even on Valentine’s Day, not knowing when they will be released. Detained migrants were forced to be absent from our communities, even when we were celebrating migration during 1 Day Without Us event last Saturday. Instead of being locked up, migrants can stay in the community with expert support and guidance and pursue their immigration cases. This mass, routine deprivation of liberty can be taken out of the current immigration system. 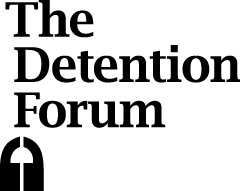 We have so much to do in 2018, beyond ending indefinite detention – so join us, stay connected (follow us @DetentionForum) and take action. 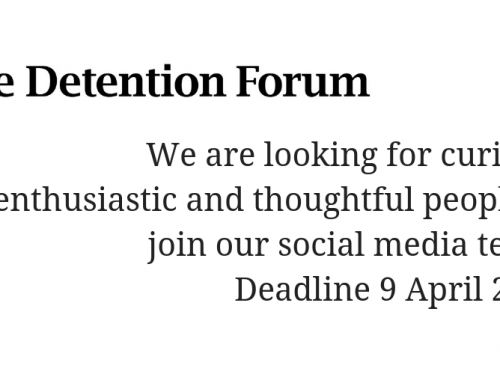 You can sign Liberty’s petition calling for a 28 day time limit on immigration detention here. We are looking for volunteers right now. Here’s the advert – spread the word. You can ask your MP to sign this EDM calling for a 28 day time limit, if they haven’t done so yet.